Every hand that goes into designing a Honda model is dedicated to crafting a high-quality vehicle. Whether you’re searching for a car, truck, van, or SUV, Honda delivers, and so does our Honda dealer serving Topeka, KS. It’s as easy as paying us a visit and browsing our inventory! Each model is carefully conceptualized with the full driving experience in mind, so that means your Honda provides the perfect balance of efficiency, style, dynamic handling, and premium interior appointments without the premium price tag. In fact, Topeka KS area shoppers will find that they can get an even better price when they look through our Honda deals! The price you want on a new Honda is only a few clicks away. 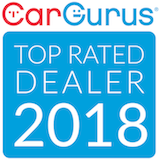 You can count on the experts at our dealership to walk you through the entire shopping experience, including hearing you when you tell us what you need. We’re confident that there’s a Honda for you, because this versatile brand has something for everyone. From the rugged Ridgeline to the zippy Fit, your choices are extensive and we stand behind each one. 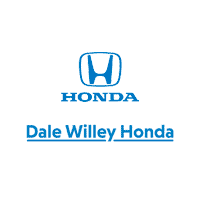 Contact Dale Willey Honda today to take a test drive of your top picks. Be sure to come to our sales experts with questions!